The bicycle repair shop adjacent to Brooklyn Pharmacy has a new owner, and a new name. 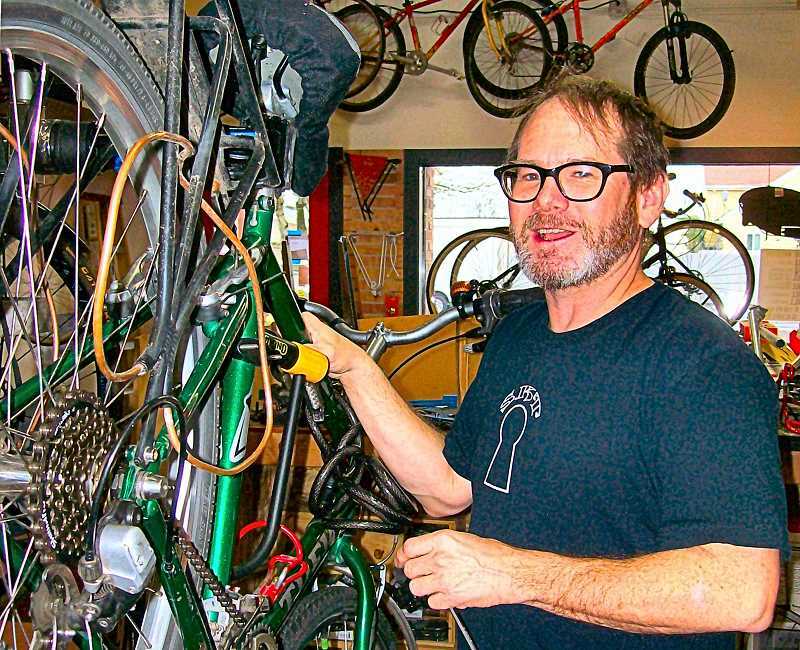 Tom Martin, proprietor of what is now known as TomCat Bikes, has taken over the space at 3117 S.E. Milwaukie Avenue. "Basically, I'm a service-only bike shop, to keep costs down for my customers," he says, "but I do also sell a few curated and new bikes. I offer safety assessments, tune-ups, overhauls, and flat-tire repairs, among other services." As for those few bikes for sale: "Although I have a Second-Hand Dealer license, I avoid walk-in offers of a 'bike for sale' by requiring a 30-day hold, no cash exchange, and a photo of the seller's ID. This helps me avoid problems with stolen bicycles." Martin is no newcomer to the bicycle industry; he reports he's been part of it for 35 years, and is a friend of shop's former owner, Tom Daly. "I was one of his first suppliers," he remarks, "and I worked here on and off for seven years before buying him out last November."